You are probably aware that there is a “spam” or “junk” folder set up on your email account and it can seem like a pretty useless built-in feature at times. In reality, however, it is an email filtering protection and it is there for a very good reason. Most email providers have spam or junk folders for users and a big reason is to ensure maximum cyber security, keeping you protected from those with malicious intent. Emails that are deemed as “risky”, such as possible scams and also overly promotion materials are put into this folder automatically. This helps you bypass the junk and get down to the material that you really want to read. This built-in filtering service that is provided for free is decent enough for individuals but if you have a business, or cyber security is an essential part of your career, then it’s worth investing in a higher quality program that might work more effectively. These can save you money, stop you from getting duped by scams and let you dedicate more time to genuine emails. Let’s have a deeper look at exactly how investing in an email filtering protection program can positively impact your business. How can email filtering protection benefit businesses? There are two main reasons why you should purchase an email filtering protection program and these are as follows. In general, businesses deal with so many emails on a daily basis due to marketing, giving out your email address to a wide variety of people etc. It can be really tiring to go through a bunch of emails, especially if many of them turn out to be junk. Time wasted equals profit lost and this is something you want to avoid at all costs. Filtering the nuisance emails into a separate folder or outrightly blocking them means you don’t have to see them and therefore you can be more productive with the work that actually needs to get done. Cyber criminals attack businesses from small to large organizations because they see them as vulnerable. Many scammers do this in the form of phishing emails and other scams that might be sent to you via email. Some phishing scams are very obvious and pretty laughable, although still very annoying. It should be pretty simple for you to avoid this type but they are not all like that. Other phishing scams are a little more believable. You might be more likely to trust these emails and perhaps even fall for them if they are not filtered to your junk. Phishing scams are designed to place malicious software on your computer and even steal bank details. Removing some malware from your system may involve loss of valuable data. This is obviously very dangerous for you as a business owner and could cost you everything you’ve worked for. Basic filtering service that is included with any free email address that you get online checks emails and classifies them. 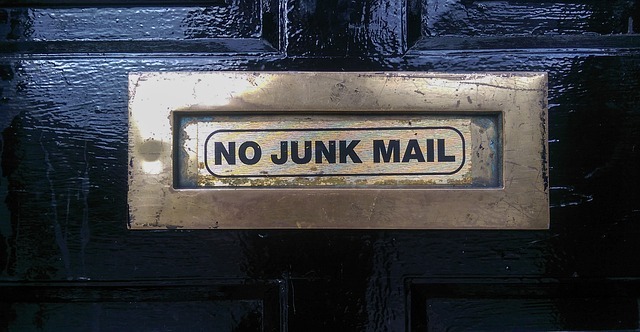 It blocks and segregates those matching “spam” criteria into a junk folder. Although effective in many cases it has its drawbacks. Emails that are genuine might be put into spam and this will mean you might not read something that’s important, possibly affecting your business. Some of the emails that ARE in fact scams will also make their way to your regular email folder this way. A more in-depth filtering program is designed to check not just phrases/keywords, but also suspicious email addresses, domain names and much more. Even the cleverest of scams are not going to make it through programs such as this which is definitely going to be a big boost for business! Who wants to waste their time on junk emails when they have money to make? As somebody who runs a business, your emails are very important so you need to protect your inbox in particular and your network in general. Since it is the means by which other businesses and potential customers contact you, you need a solid system in place to filter the junk and malicious emails from the genuine ones. Get yourself a high-quality email filtering protection program today for maximum productivity and cybersecurity. With today’s ever changing threats, we’d be more than happy to review how secure your business is. Schedule a FREE no obligation Network & Security Audit with us today. Click Here to schedule your technology health check.